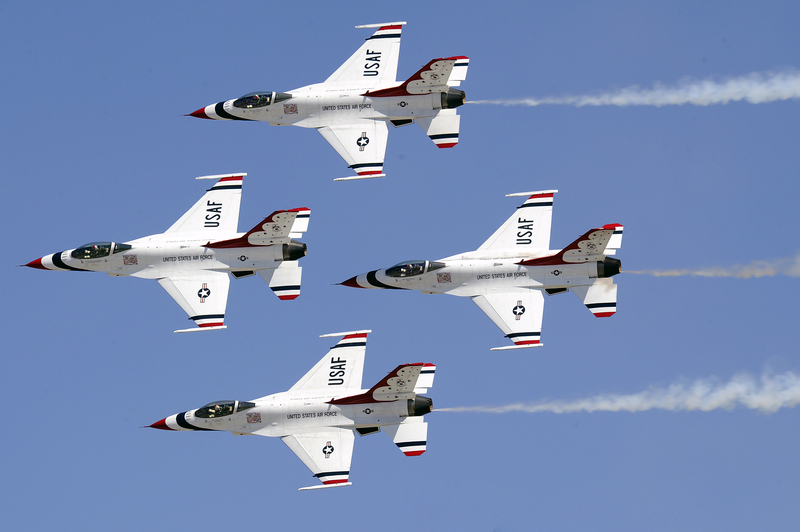 The Great Pacific Airshow, headlined by the U.S. Air Force Thunderbirds, will be in the skies over Huntington Beach this Friday, Saturday and Sunday. It will include never-before-seen aircraft, military flybys and aerobatic performers. Over two million people are expected to see the three-day event. Performers will include the Thunderbirds, Jeff Boerboon and his Yak 110 making its West Coast debut, a KC-135 Stratotanker and C-17 Globemaster, a Blackhawk EU-60 helicopter and more. The Airshow will be in the skies from 11:30 a.m. to 4:30 p.m. each day. It’s centered on Pacific Coast Highway at Huntington Street, south of the city pier. The event is free to the public, but VIP premium tickets are available for purchase. There will be some noise, so be prepared. A Thunderbird team flight will take place on Thursday from 1-2 p.m., with a team practice from 10:30 a.m. to 11:30 p.m. on Friday. For more information, go to www.pacificarishow.com/FAQ.